Guys and dolls, let us tell you a little story about three cool cats from the Bronx who helped create the music we love….. Doo Wop! Three guys known as the BELMONTS hanging out and singing their harmonies to create super groovy songs! Songs we love like “Teenager in Love”, “I Wonder Why”, and “Don’t Pity Me”. Come and join us as they create Doo Wop magic right in front of your eyes! Don’t miss the BELMONTS on July 28th at 7:30 pm. Call us today – 814-467-9070 to order your tickets from one of our Box Office Staff. Or jump onto your computer at home, go to the BUY TICKETS tab on this website, review the seating chart, pick your seats, and then pay for them with a debit/credit card. Don’t forget to print out your confirmation sheet – you’ll need that for the night of the show! 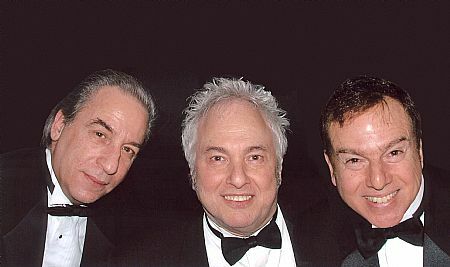 Get Ready to Doo Wop with the Belmonts Did You Know?